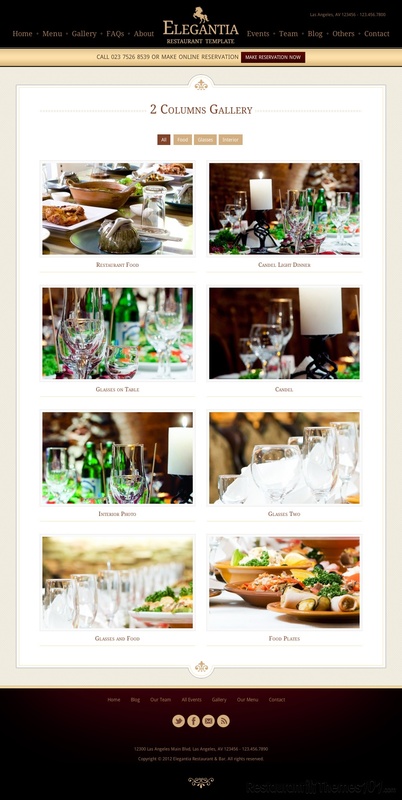 Choosing the right theme for your restaurant website can really turn out to be a demanding job. There are so many themes out there, most of them seem similar, many of them look good, but you know for a fact a lot of developers promise more than they deliver. As a restaurant owner, you don’t need to waste your time on endless setups and bug fixes of your website, you need to have a professional, great looking website that will help your business, not make it harder. Finding a theme that can actually do all this for you can be challenging, but it’s possible. 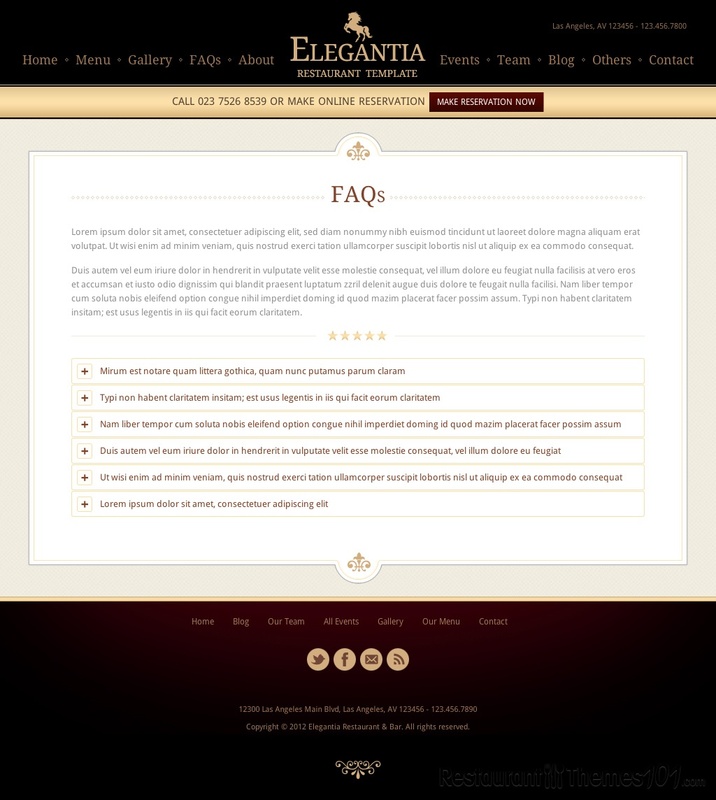 Elegantia is a WordPress restaurant theme that covers pretty much any need a restaurant website should have. It was developed by 960Development and it is featured on Themeforest. 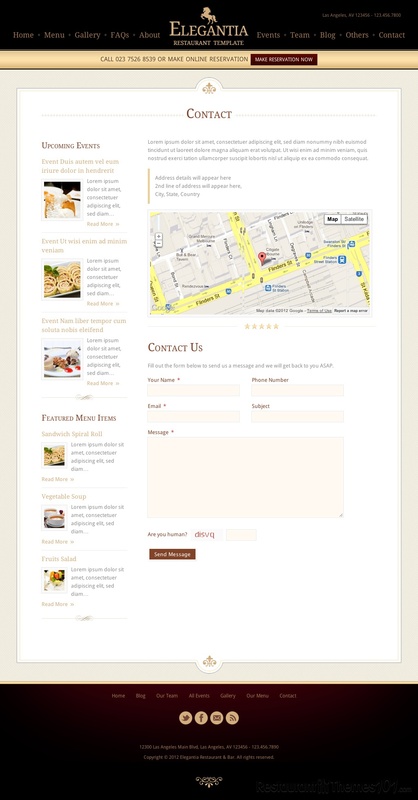 The theme is very adjustable and it can also be used as a WordPress cafe theme, or for any kind of a restaurant related business. The layout of the theme looks sensational, really. It suits the theme name perfectly. It is elegant, stylish, with nice colors, a modern touch to it, and most importantly – it is very user friendly. Everything is clear and understandable, your visitors will know exactly what to click to get what they want on your website. After attracting customers with a great looking layout, you will knock them down with all the great options and features any good restaurant website should have, including a great food menu module, a sortable gallery module and even an awesome events module where you can announce upcoming events along with event detail page and event custom post type in the back-end with feature rich meta boxes. The reservation template is also very useful and your visitors are going to love it. These are just few of the great features this theme offers. Everything about Elegantia is customizable. You can create your own website just as you want it to be, and you can do it very quickly and very easily. Best of all, the theme is fully responsive so you can be sure it will look perfectly good no matter what device or screen size it is viewed from. The Elegantia theme is also available as a HTML template.